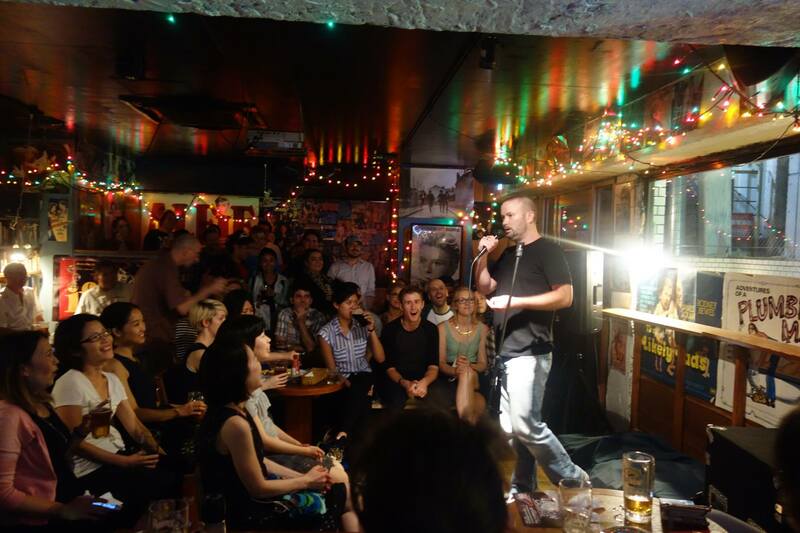 Good Heavens Comedy Club is our flagship show in the uber-hip neighbourhood of Shimokitazawa – just a short train ride from with Shibuya or Shinjuku. 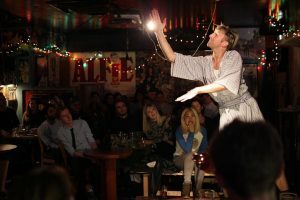 Good Heavens British Bar is one of the classic British pubs in Tokyo, and every Wednesday it transforms into Tokyo’s only weekly English comedy show, under the guidance of Paul and Hisako, the married owners. 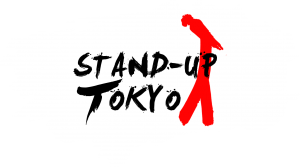 A typical Wednesday show will see a bustling, international crowd there to cheer on, laugh with and (occasionally) laugh at a line-up of Tokyo’s best stand-up comedians, some newer comics trying out the mic for the first few times – and regular visiting comedians. If you are a comedian visiting and wondering where you can jump up? This is your spot! A normal Wednesday show is ¥1,500 – which includes a drink (from an outstanding range of imported beers, plus wine and spirits). Plus don’t miss out on some tasty fish & chips. 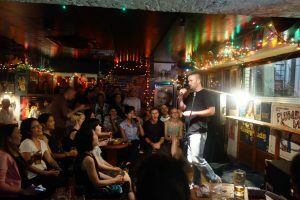 Good Heavens Comedy Club also hosts regular headliner shows – top acts from all over the world descending on Shimokitazawa to entertain Tokyo residents. We have had Hannibal Buress, Eric Andre, Stuart Goldsmith, Ben Norris, Phil Wang, Yuriko Kotani… and many, many more. These are some of the best nights Tokyo has to offer, so do not miss out!